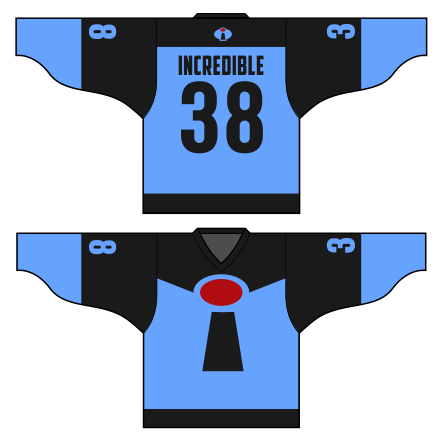 Posted on July 19, 2012, in Geeky Jerseys, Hockey Jersey Design and tagged Cartoons, Films, Geeky Hockey Jerseys, Hockey Jersey Design, Incredibles, Pixar. Bookmark the permalink. 5 Comments. Damn you! That Mr Incredible is awesome, Just JUST TAKE MY MONEY DAMN YOU! You do a great job design these jeresys!!! Hey Dave… Are the Mr. Incredible (red) jerseys going to be/still available to buy? That design will only be available for private team orders, sorry.